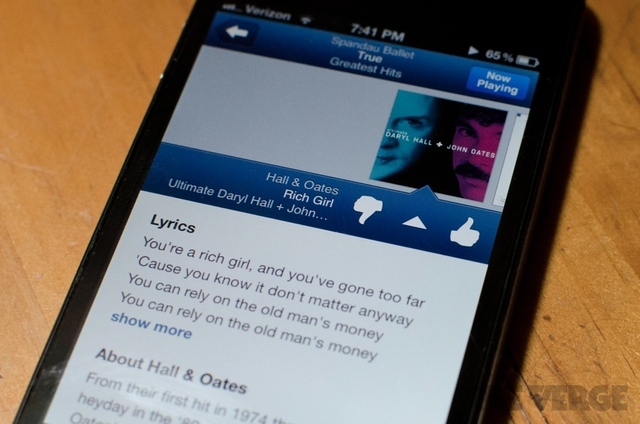 You may have heard by now that yesterday, Pandora filed to sell shares that could generate $450 million. Pandora also warned in documents filed with the Securities and Exchange Commission of a possible slowdown in advertising revenue and listener hours. But dig a little deeper into those SEC documents and you can glean a fuller understanding of the challenges the company faces. Here's just a taste of what Pandora is up against: advertisers aren't paying as much for mobile as they are to advertise on PCs, but Pandora still has to pay the same royalty rate whether its music is streamed to a phone or a computer. That drags down earnings; last week, a group of major and independent labels filed a copyright complaint against Sirius XM. The labels said the satellite radio service doesn't compensate copyright owners for recordings made prior to 1972, and Pandora's leadership said there's a possibility that it also could be sued. The amount of money generated from subscription fees grew last year from 12 percent of the company's total revenue to 17 percent. Pandora said the increase was due to the 40-hour per month cap on free mobile listening, which led some users to upgrade to the pay service to acquire unlimited music. But the cap was recently removed and the added subscription revenue is likely to go away. Pandora disclosed these risks as public companies are required to do by law. Yet, evaluating the level of risk for each isn't easy. Pandora told investors: "We have experienced rapid growth in both listener hours and advertising revenue. We do not expect to be able to sustain these growth rates in the future and our business and operating results may suffer." Wall Street doesn't seem concerned. Pandora's shares were up 1 percent to $24.25 in early trading on Tuesday. Since the first of the year, Pandora's stock price has more than doubled. What might be freaking out the tech media is that Pandora is raising money and issuing warnings about sluggish growth in listening when much of the web music sectorappears headed for dark days. Yesterday, The Verge broke the news that Rhapsody laid off 15 percent of its workforce and shook up its management ranks. On the same day, Rdio said it would launch a new, ad-supported feature that would provide users with free music listening. The move is likely designed to keep pace with Spotify, the leading subscription service that has offered free listening for two years in the United States. But even Spotify's business, according to reports, continues to lose money. Pandora is the largest online radio service with 71 million active users and 200 million registered users. No other competitor in digital music save for Apple possesses a comparable audience. Pandora listed the percentage of overall listening done on mobile devices for the past five fiscal years. In 2009, it was 5 percent; 26 percent in 2010; 54 percent in 2011; 69 percent in 2012; and 77 percent in fiscal 2013. Pandora said its efforts to attract regional advertisers, the groups that only advertises in certain areas, is still in its early stages, and the company said this is a key area. The licensing agreements with publishers through performing rights organizations, such as ASCAP and BMI, are being rendered useless because publishers are pulling out of those groups, forcing Pandora to enter into direct licensing agreements with each publisher. This can be time consuming and potentially more expensive. Lastly, on the issue of the listening cap, Pandora said it implemented it to control licensing costs but has found other ways to do this. What the company didn't address is why it would remove the cap if it was nudging people to subscribe to the paid service and generating extra cash. We can guess that the cap might have suppressed listening hours, and boosting those hours is vital for Pandora to attract advertisers. We have reached out to Pandora for comment and will update as soon as we hear back. Anyone interested in seeing how complex operating a digital music service is should take a look at the filing. Keep in mind that there are still more questions than answers about how these issues will affect Pandora's finances in the long run. What isn't fully explained in the SEC documents is how the company will expand its audience and generate higher mobile ad rates while also keeping costs down.